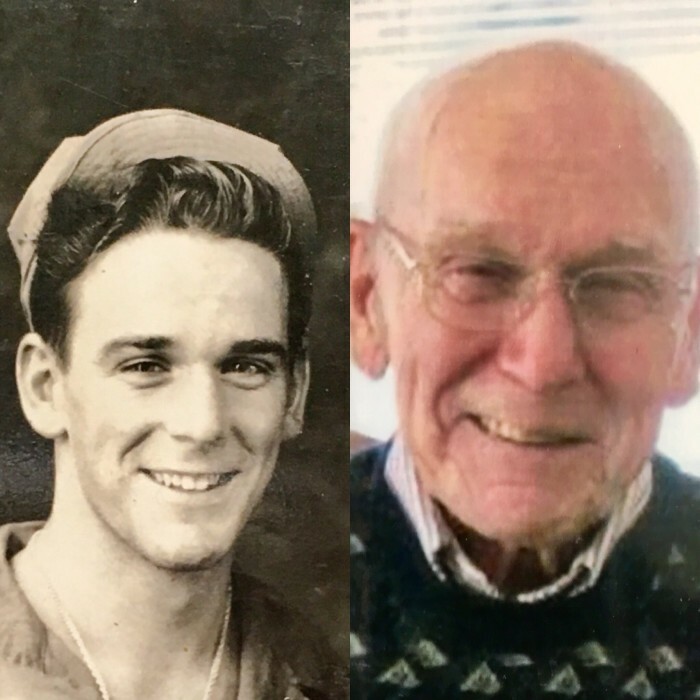 Charles K. Pinder, 92, passed away February 7, 2019. He was born in Akron to the late Francis and Mabel (McClain) Pinder and was a graduate of East High School, where he was class president and earned All-City honors as captain of the football team. He was also a proud Army veteran of World War II and retired from the US Postal service with 40 years of service as a letter carrier. Charlie was very active in the community. He was a long-time member of St. Matthew Parish, the Knights of Columbus and the Holy Name Society, and he was a wonderful grandfather. In addition to his parents, he was preceded in death by his siblings Paul, Helen and Leo. He is survived by his wife of 66 years, Betty; children, Paula (Marty) Balazs, Beverly (John) Rodeheffer, Kenneth (Joanne), and William; grandchildren, Aaron, Jenna, Sydney, Elizabeth, Lily (Fred) and Charles; brother, John; and many nieces and nephews. The family would like to give special thanks to Harbor Light Hospice and Sunrise Senior Living. Per his wishes, cremation has taken place. A funeral mass, celebration of life and burial with military honors at Ohio Western Reserve National Cemetery will be held at a later date. To honor Charlie's memory: plant a garden, take care of and spend time with your family, and love each other.